For 45 days in February and March, the U.S. Drug Enforcement Administration surged its enforcement and administrative resources to identify and investigate prescribers and pharmacies that dispensed disproportionately large amounts of drugs. The ultimate goal of the surge was remediating or removing those whose actions perpetuate the controlled prescription drug crisis in America, particularly opioid drugs. The culmination of those investigations was 28 arrests, 54 other enforcement actions including search warrants and administrative inspection warrants, and 283 administrative actions of other types. 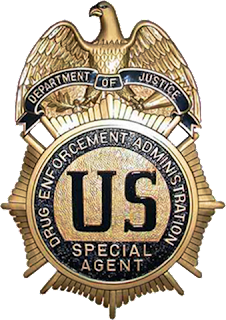 These additional actions included scheduled inspections, letters of admonition, memoranda of agreement/understanding, surrenders for cause of DEA registrations, orders to show cause, and immediate suspension orders (the immediate revocation of registrations). DEA works with various federal and state partners on data sharing agreements to enhance its ability to identify individuals and companies who are contributing to the prescription opioid crisis, including a coalition of 41 state attorneys general and the Department of Justice’s Opioid Fraud and Detection Unit, an initiative of Attorney General Sessions. It is also dedicating additional resources to its domestic divisions to carry out investigations.